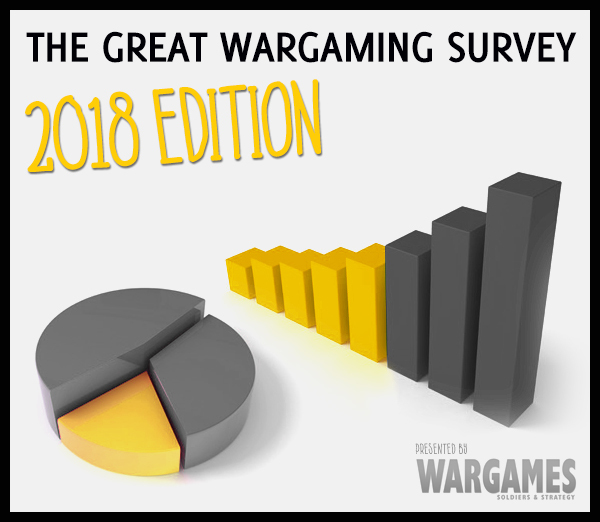 And in 2018 Wargames Soldiers & Strategy once again hosts the Great Wargaming Survey! 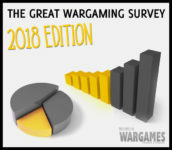 For the fifth year in a row, Wargames Soldiers & Strategy magazine is running the Great Wargaming Survey. With many thousands of respondents every year to an ever evolving (and sometimes revolving) set of questions, it gives a constantly improving image of 'the average [responding] wargamer'. As before, and thanks to our gracious sponsors, we have quite a few prizes to be won. Leave your email address at the end of the survey to be entered into the raffle. Entering the contest does not automatically mean we'll subscribe you to any communication! That is a separate question which does not influence the results of the raffle in any way. Finally, filling out the entire survey shouldn't take more than 5-10 minutes, and we're taking responses until September 5th, 2018.